Although the number of Ebola cases continue to fluctuate in Sierra Leone and Guinea, new cases in the region are declining overall and there is cause for optimism. Now health experts agree we have to take a more active step in finding the remaining infections hidden throughout the countryside to end the crisis. International Medical Corps is answering that call in Guinea with a new approach to fighting Ebola. International Medical Corps’ first project to be based in Guinea will equip 10 district hospitals with the facilities, training, and supplies they need to respond quickly and efficiently to potential cases of Ebola infection. 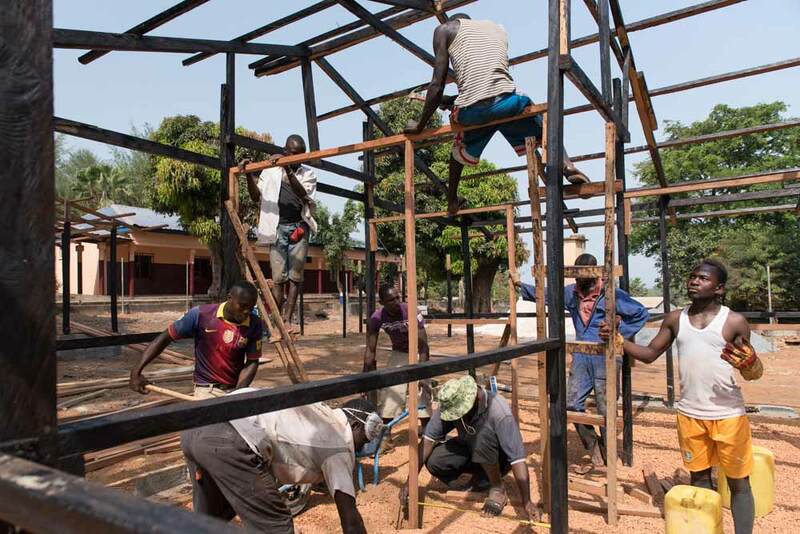 In Dubreka Prefecture, one of the country’s remaining Ebola hotspots, International Medical Corps’ engineering teams are already hard at work to support the District Hospital. They are constructing a new triage area and isolation ward to help hospital workers screen for Ebola cases. They will also install clean water supplies and safe waste removal burn pits. In the next phase, International Medical Corps doctors will liaise with their medical counterparts to design trainings that will bring much needed guidance on infection prevention and control procedures to local health workers. Building up skills and establishing the right practices are the vital next steps to helping Guinea’s brave medical professionals get the country to zero cases and stay ready if Ebola comes back. International Medical Corps’ project throughout Guinea will ensure Guineans have the adequate facilities, proper training, and sufficient materials to carry out their work safely and effectively.